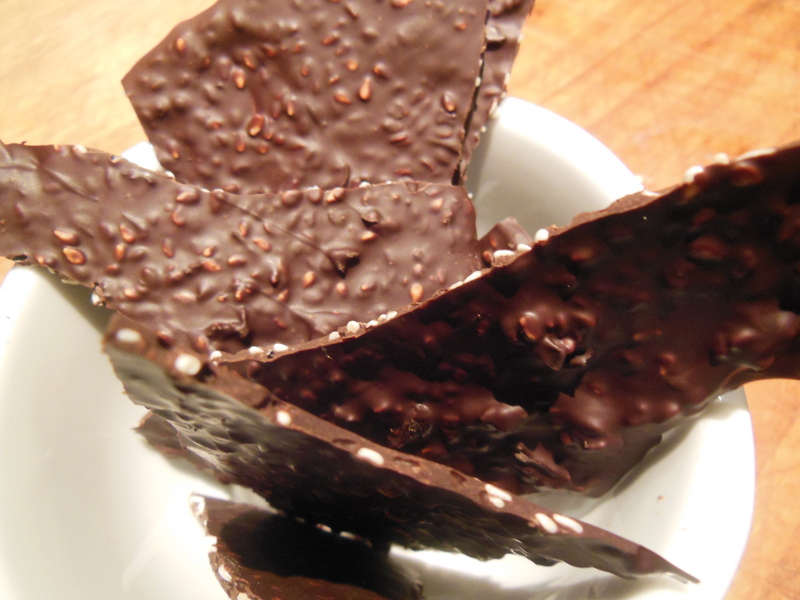 Chocolate and seaweed might seem like a strange combination, but actually the saltiness of the wakame creates a lovely flavour contrast with the sweet chocolate. Wakame also contains iodine which our diets are often deficient in.These snaps are lovely dipped into ice cream or served with tea and coffee. See if your guests can guess the secret ingredient. Finely grind wakame with spice grinder or pestle and mortar. 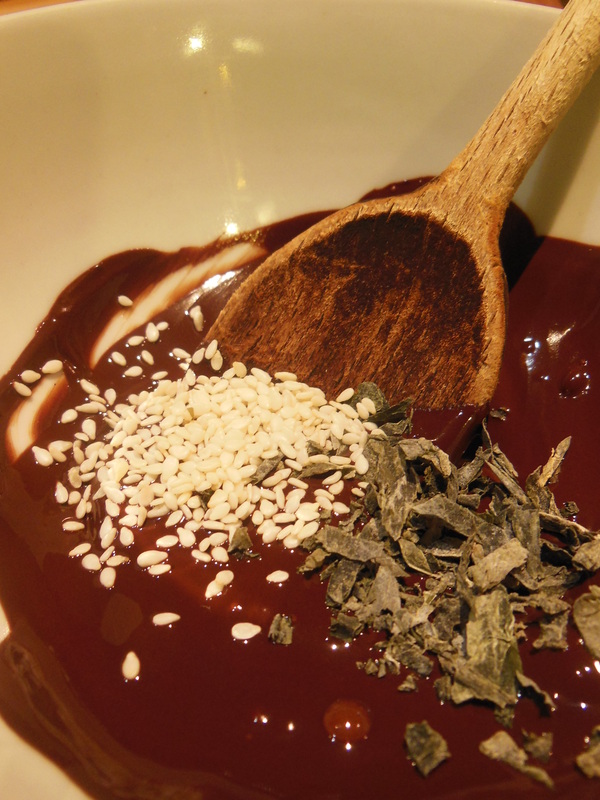 Stir wakame and toasted sesame seeds into the melted chocolate. 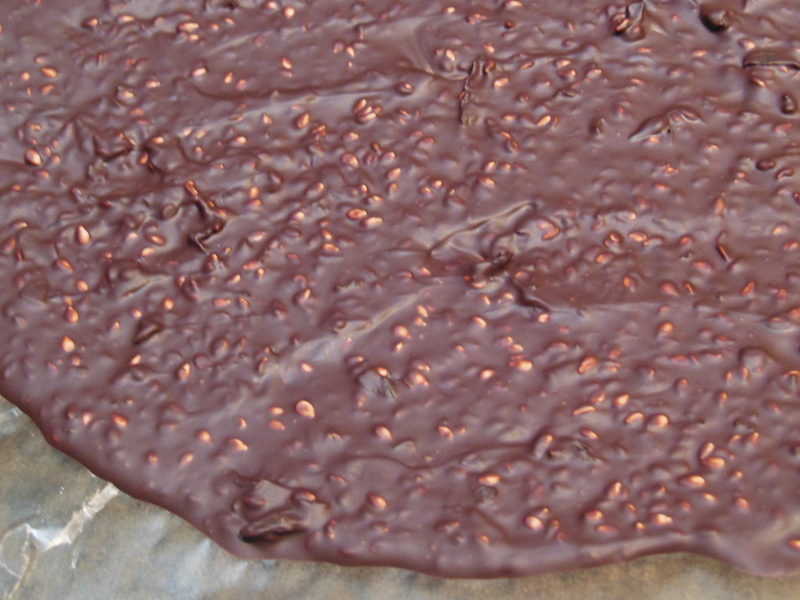 Using a spatula spread the mixture in a thin layer (2-3mm) on a sheet of baking paper. Transfer to the fridge for 10 min to set then break into shards.